– KYB UK – the leading supplier of shock absorbers, coil springs and suspension mounting kits – is continuing to add to its new facility to help provide invaluable technical training for its garage customers. The company has made a series of technical videos available on YouTube to provide technical assistance for technicians replacing shock absorbers on a variety of vehicles and plans to expand the coverage over the coming weeks. The site – at http://www.youtube.com/KYBEurope – gives advice on working on vehicles including the Audi A4, Peugeot 407, Renault Laguna and Mercedes A Class and also features videos showing the suspension set-up inside a vehicle and film of vehicle track testing. The company spends a lot of time and effort providing top quality training for UK garages. 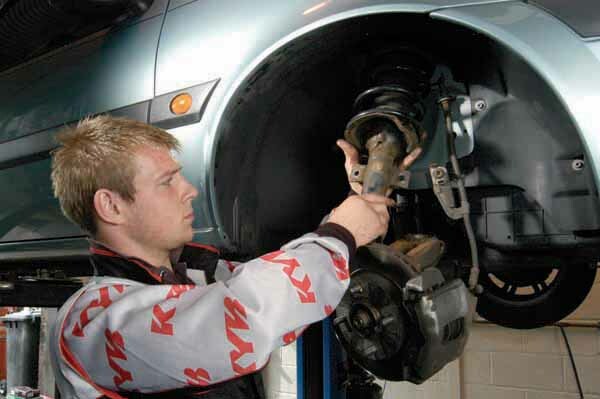 It has a training programme for technicians which advises them on what to look for when checking for worn shock absorbers and springs on a car. She added: “Our training programme helps garages to look for physical signs of wear on shocks and springs, as well as the symptoms they would feel driving a vehicle. Training sessions are normally held at an individual garage customer’s premises or given to a group of garages at a central location. 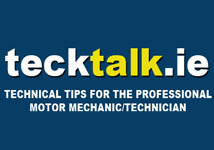 KYB UK also gives technical training advice to garages when it exhibits on the Tech Talk Live stand at regional MechanEx shows; the next one being held at Event City, Trafford Park, Manchester on May 22 & 23. Worldwide KYB manufactures more than one million shock absorbers a week and is the world’s largest original equipment (OE) supplier to vehicle manufacturers, with one in four cars leaving production lines being fitted with KYB as standard.